In an earlier post, we commented on the difficulty movements such as Occupy Wall Street or Indignados were having in influencing the course of electoral politics. In Spain, in spite of all the protests in Madrid and other parts of the country, elections late last year saw the return of the Right to power after a campaign where its leader, Mariano Rajoy, pointedly avoided setting out anything like a detailed economic plan. In Italy and Greece, protests coincided with the replacement of elected governments by technocratic administrations rather than with any lurch to the left or any real change in austerity-based politics. This may now be changing. Recent campaign speeches suggest that these popular mobilisations have begun to shift the terrain of representative politics. In France last weekend the Socialist Party candidate, François Hollande, in a keynote speech, made a point of targeting the world of finance. Two moments of his speech took on a confessional, intimate tone. I shall let you into a secret of mine, he said, clearly trying to differentiate himself from the current incumbent of the Elysée palace: “it is people that interest me, not money”. And a little later, with the same confessional tone: “let me share with you who my real enemy is… It is an enemy without a face or a name; it governs without being elected… It is the world of finance”. Hollande’s proposed policies to disable this “enemy” were in line with what has been suggested elsewhere: to isolate the speculative activities of banks from their commercial lending; to introduce a comprehensive financial transaction tax, not just a tax on the trading of stocks; to set up a public ratings agency at the European level and to renegotiate the EU fiscal pact so as to make explicit its growth model. Hollande called this a pact for responsibility, governance and growth. In Obama’s 2012 State of the Union address, given yesterday to Congress, the same themes were apparent. 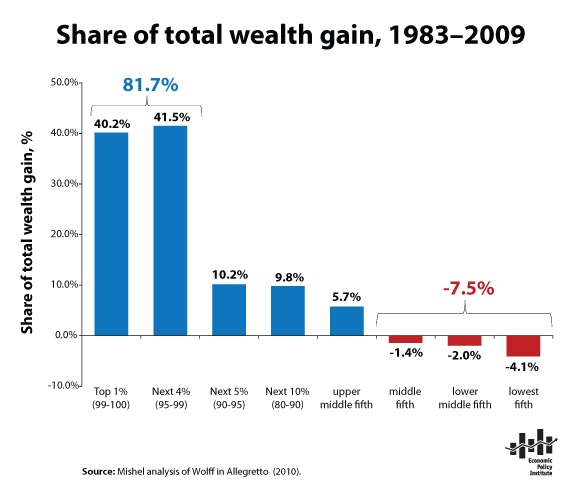 Invoking much of the Occupy rhetoric about the 99% versus 1%, Obama argued for a fairer, less unequal US society. He endorsed the Warren Buffet idea of raising taxes on the most wealthy and dismissed any claims that he was engaging in class warfare, calling these policies common sensical rather than partisan (see here for the Guardian’s write-up). The Republican primaries have similarly been taken up with the same themes. One of the problems faced by Mitt Romney is that he not an industrial magnate or oil man but gained his wealth through finance, making him the target of people’s anger at Wall Street and at bankers. The battle with Gingrich has been focused on tax with Romney forced to disclose his tax returns. Romney’s fight-back after his defeat in the South Carolina primary has been to highlight, under the banner ‘Newt Gingrich cashed in’, the payments received by Gingrich from the mortgage brokerage company, Freddie Mac. If recent political mobilisations have indeed given this current economic crisis its political narrative, it is worth asking what this narrative is. So far, it is mainly an ethical critique of contemporary capitalism. Critics of finance take issue with the unscrupulous actions of bankers and hedge fund managers, their conspicuous wealth, the brazenness of new inequalities. In its place, Obama, Hollande and others call for a return to more traditional values where money matters less than people and the common good. There are obvious limits to such a critique. A defining feature of capitalism is its systemic nature: it is based upon a set of social relations that are more than merely the accumulation of individual intentions. Without uncovering the specific set of social relations that are the basis of today’s financialized capitalism, invocations towards a better, fairer society will only breed disappointment as changes fail to appear. Continuing our series of interviews, today we publish an interview with Wolfgang Streeck. A guest contributor to The Current Moment, Professor Streeck is Director of the Max Planck Institue for the Study of Societies (MPIfG), based in Cologne, Germany. The author of many books and articles on comparative political economy, he recently published ‘The Crises of Democratic Capitalism‘ in the New Left Review. What are the stories right now that you think people either aren’t paying enough attention to, or about which we have the wrong view? Generally the historical and political-economic continuities between the global inflation crisis of the 1970s, the widespread public debt crisis of the 1980s, the internationally agreed consolidation and financial deregulation policies of the 1990s, and the worldwide private debt crisis of the 2000s, with its commutation into another public debt crisis. Turning to the Eurozone debt problem, a dominant view is that Greeks and Italians are corrupt, inefficient and lazy, and that is why they find themselves in this mess. What is your view of what is going on? The Mediterranean version of the debt problem reflects a specific relationship between modern states and societies on the periphery of Europe that have become stuck, partly or wholly, in pre-modern social structures and lifeways. In Italy and Spain in particular, this relationship is furthermore complicated by deep divisions between advanced regions such as Lombardy and Catalonia, and backward regions like the Mezzogiorno and the Spanish South. In quasi-feudal areas, or in an entire country such as Greece, huge concentrations of old wealth coexist with widespread rural poverty and stagnation. Vacationers from the North romanticize this as an easy-going way of life and tend to be envious about it. They also notice that there is corruption, and clearly a lot more than, say, in Sweden or Finland. What they don’t see is that there is also a lot of oppression by local elites with more or less close connections to the legal and illegal markets offered by modern capitalism, not to mention the political parties of the modern state. To be able to catch up with capitalist modernity, these societies would in the past have needed social revolutions to expropriate the old money and clear the way for the new money of middle-class industrial entrepreneurs. But this happened in Italy only in parts of the country, and in the post-fascist democracies of Portugal, Spain and Greece in the 1970s a revolutionary response to backwardness was prevented not least by the containment policies of Northern Europe and the United States. One of the tools of that policy was admission of Greece, Portugal and Spain, first into the European Union, and then into Monetary Union. The standard recipe for the recovery from the Eurozone crisis is austerity and structural reforms in the peripheries, plus some recapitalization of banks. Do you think this is the right way to go? I really don’t know what the solution is. Perhaps austerity is politically sustainable for the two decades that are claimed to be required for fiscal “consolidation” in debtor countries, perhaps not. In any case it will have to be accompanied by some form of, very likely hidden, transfer payments from the North, which also may or may not be politically sustainable, in this case with Northern electorates. “Structural reforms”, in the language of ruling economists, are not much more than union-breaking and the creation of tax-free economic development zones. But nobody tells us what the sectors are where growth is to take place, in countries squeezed between high-technology competition like Germany and low-wage competition like Thailand. Structural development policies that go beyond supply-siderism are not only expensive but are likely not to work when imposed from above or from the outside on a traditional social structure; see Southern Italy where fifty years of Cassa di Mezzogiorno were by and large an unqualified disaster. There is no reason to believe that Brussels or Berlin will in a decade be more successful in Greece than Rome was in Sicily for half a century. What do you think would address the trade and debt imbalances between Northern and Southern Europe? Do you think it can be done within the European monetary union or does it require a fundamental change or dismantling of that union? The problem is: there will be no such dismantling. The middle classes in the Mediterranean consider EMU as the lesser evil compared to a return to national currencies, because their savings are denominated in Euros and full membership in the European Union harbors vague promises of individual mobility and collective support, however meager. In the North, the common currency ensures export industries against competitive devaluation and guarantees a favorable external exchange rate. This is why German industry, including industrial trade unions, are strongly in favor of “European solidarity,” meaning that Mediterranean countries must by all means be prevented from getting out of the monetary trap in which they have moved themselves when joining the common currency. Some sort of competitiveness tax to be paid out of public budgets or in the form of some sort of “Eurobonds” is accepted as the price for unlimited access to Southern markets, especially if it is paid by taxpayers at large and not by industry itself. Here I see an unholy alliance between Southern middle classes and state elites on the one hand, and Northern export industries on the other. It will, however, be an unhappy alliance as Southern countries will inevitably be disappointed by the benefits they will receive from the North, while Northern electorates will resent such benefits regardless how small they may be, at a time when they themselves have to accept spending cuts of all sorts. Like in Italy, the South will hate the North and vice versa. Northern clichés of lazy Southerners will be complemented by Southern clichés of Northern, in particular German, imperialism. Europe will grow together at the price of rising nationalist resentment. The hegemony of the demand for austerity is striking. It is offered as the solution to the Eurozone crisis, as well as to the American situation – the US Congress even created a supercommittee to find savings. It seems odd to have such agreement around austerity in the midst of a potential double dip recession. Why is there such agreement on this point and what do you think of the demand for austerity? There seems to be no way to close the gap between public expenditures and public revenue by higher taxes, in no country. This being so, what remains to reassure creditors are spending cuts. Financial liberalization has made it easy for owners of significant wealth to move abroad; right now the London real estate market, in places like Chelsea, Kensington, Hampstead and Belgravia, is booming from rich Greek families putting their money in new homes. Tax increases are resented even by the middle classes who would more than the rich benefit from a functioning welfare state; one reason seems to be that for a long time higher public revenues will have to pay for goods already consumed. Those who would have to pay increased taxes because they cannot move their money or themselves out of their country may even prefer continuing public deficits to fiscal consolidation as long as austerity is firmly institutionalized and creditors can as a result be sure to get their money back. This is because, rather than having their savings confiscated, they could keep them and lend them to the state, drawing interest on them and eventually passing them on to their children. As I said, this presupposes a “credible commitment” of public policy to giving priority to servicing the public debt over keeping the political promises inherent in social citizenship. In practice this means a suspension of democracy to the extent that it is linked to social citizenship. How optimistic/pessimistic are you about the ability of national democratic procedures to provide solutions to the current economic crises in Europe and in the US? What do you think of the recent proliferation of technocratic governments in Greece and Italy? Does the current crisis expose some basic tensions between capitalism and democracy? If so, how exactly? I have written about these tensions, caused by ultimately incompatible demands for “market justice” and “social justice” having to be balanced against each other. Democracy is more than democratic procedures; it also expresses itself through social movements and general strikes. Even so, in present circumstances it lacks power and the capacity for collective action on the relevant battlefield, which has become the international monetary system. Today, states and their governments are facing two sovereigns at the same time: their peoples, organized nationally, and “the markets,” organized on a global scale. The latter clearly prevail over the former: see the replacement “from above” of the elected political leaders of Greece and Italy by representatives of the “economic reason” vested in the international money industry, shifting the political economy from social to market justice as the latter is deprived of its democratic empowerment. What has perhaps not been said clearly enough is how the postwar settlement between the two kinds of justice came to be revised after the end of the “Golden Age.” When postwar growth ended in the late 1960s, the functional needs of capital accumulation began gradually to push aside the social needs whose institutionalized recognition had been the condition for workers being prepared to live with capitalism. More and more “capital controls,” in a broad sense, were removed while one promise after the other that had been made to buy labor in after 1945 was withdrawn. Such promises included a steady increase in living standards, progressive de-commodification of labor through an expanding welfare state, politically guaranteed full employment, “industrial democracy,” an encompassing regime of collective bargaining and trade union rights, a broad public sector providing citizens with social services as well as with stable employment, equal access to education and social advancement, a moderate and certainly not growing level of social and economic inequality, and the like. All of these disappeared or were “reformed,” often beyond recognition. The almost four decades since the end of postwar prosperity were a long series of defeats for labor, and of successful attempts on the part of capital gradually to re-establish its hegemony, with market justice pushing social justice to the sidelines of the political economy. It was not the logic of democratic claim-making or social citizenship or even democratic political opportunism that undercut the postwar social compact, but the historical reassertion of the logic of capital accumulation that had for a limited period been contained and overruled by democratic politics – just as the fiscal crisis of today was not caused by ordinary people demanding more than they were entitled to, but by the winners of the market first refusing to pay for their social license to enrich themselves, and later blackmailing governments to save them from the fallout of their own recklessness. What are your views of the nascent protests (Occupy Wall Street, Indignados) developing in response to the introduction of austerity packages in Europe and the US? Are these movements a continuation of or a break with the anti-globalization movements of the past? Are they likely to fundamentally change public perceptions and government policy or will they have only a small lasting impact? I know too little about such movements. I am looking for signs of an impending cultural break with possessive individualism, competitive greed, hedonistic consumerism. This is a tall order indeed, but I feel nothing less would do. Beyond “protest” or calls for “reform,” what would be interesting to see are actual changes in people’s ways of life, some kind of separatism and recapturing of local autonomy, with people cutting themselves loose from the capitalist mainstream and becoming less dependent on it, materially and mentally: a way of life where time matters more than money, ideal goods more than material ones, and social bonds more than individual property. That may not be available without a measure of neo-romanticism or even insurrectionism. What one might hope for is a sort of cultural change that, unlike 1968 and its aftermath, would not lend itself to being transformed into a “new spirit of capitalism,” as described by Chiapello and Boltanski. At the intellectual level, I find the growing literature on low-growth, no-growth and de-growth capitalism (or perhaps post-capitalism?) intriguing and I wish one could find good reasons for believing that working for this politically would not necessarily be futile. What, finally, do you think the appropriate political response is to both these crises and their aftermath? What is “appropriate,” and in what sense? What I see coming in Europe seems far from “appropriate” to me but it will probably come anyway. Clearly, the United States and the UK will continue to depend economically on an overblown international financial system that happens to reside mainly on their territories, and that they regulate in their national interest rather than the interest of all. The question is: is there anything on the horizon that could break the trend of the past three decades toward an ever more unstable, unpredictable, uncontrollable – in other words, ever more capitalist – global capitalism, with an ever more unequal distribution in the historically rich countries of wealth and risks and opportunities and life chances? I see nothing. The main topic of Eurozone discussions this week, amongst finance ministers, heads of states, and journalists, will be the Franco-German proposal for a “fiscal union”. The details of exactly what is being proposed remain vague. Later today, Sarkozy and Merkel are expected to outline some of what they mean. But for the full plan, we will have to wait for the final announcement at the European summit in Brussels at the end of this week, assuming this proposal wins the support of other EU members. Already, the debate about this fiscal union has begun. For Sarkozy’s critics in France, from the Socialist Party through to the right-wing National Front, the President has sold French sovereignty (very cheaply) in his attempt at saving the Euro. For many others, the proposed fiscal union is little more than a German Europe. There is no doubt that Germany is pushing through its own preferred solution to the crisis. France may manage to win concessions on both the role of the European Central Bank and on who has the final say regarding the imposition of sanctions on profligate states (the European Commission? the European Court of Justice? the European Council?) but it has certainly conceded to the German demand that national budget lines are policed as closely as possible. But does this represent the imposition of German sovereignty over the rest of the Eurozone? The reality, as we have argued before, is more complex. That some states have had their interests better represented via the EU than others goes without saying. In a region where power is unevenly distributed, any consensus has tended to represent a compromise between the more powerful members. Others have been bought-out via side deals designed to ensure their acquiescence to the bigger picture. But to reduce everything to power politics is lose the distinctiveness of what we are seeing today in Europe. The question is not whether or not we are seeing the emergence of German Europe. It is rather: why is a German-dominated Europe taking the form of this kind of fiscal union? The first point to note is that whilst the new fiscal union may be German in content, it is hardly German in form. Instead, it is premised upon the unerring power of rules overseen by unelected bodies. The idea here is that rules are not merely a tool used in order to reach a particular destination; rules have become an end in themselves. The idea of the fiscal union is that what matters is the ability to constrain – via punitive sanctions if necessary – the spending power of national governments. Attention is focused on how to organize these constraints, not on what they will achieve. The result is actually based on very shaky assumptions, namely that via tighter fiscal policy and some key reforms (e.g. the raising of the retirement age) Europe can return to growth (see here for a critique). Few are convinced by this argument but they agree with the focus on rules. This fetishizing of rules has driven the sentiment of the markets as much as that of European policymakers: Italy and Greece have been seen in a more positive light ever since their political leaders were swapped for technocratic managers. These managers are seen as more reliable enforcers of common rules, in comparison with their mercurial predecessors. Far from representing a break with the past, this tendency to fetishize rules is a hallmark of European integration. Actual expressions of raw political power reappear at the EU level as neutral rules overseen by technocrats. We have seen this in many other areas and today it has reached fiscal policy. This faith in rules reflects something broader, what we might call the ideology of technocracy. It is nothing new to say that particular social and political interests present themselves to us not as they are but as carriers of something universal. That is, after all, the very definition of ideology: the particular represented to us as the universal. What is distinctive is that today’s universal is the universe of neutral and non-partisan rules. In Europe today, this ideology is unchallenged because its main opponent – the nation as a particular interest – is so attenuated. 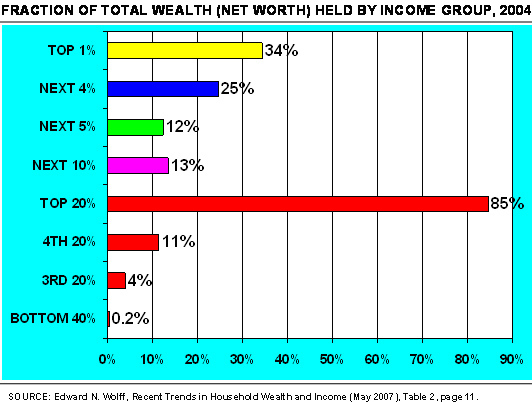 The Occupy movement itself has consolidated this trend, seeking to please everyone with its “we are the 99%” slogan. A more divisive and particularlistic politics is needed in order to challenge this ideology of rules. As part of our investigation into contemporary political economy, The Current Moment will be publishing interviews with different individuals on the subject of today’s economic and financial crisis. Based on the same set of questions, these interviews are aimed at opening up a debate about the causes and consequences of the current crisis and at advancing our understanding of political economy. Today’s interview is with Kees Van Der Pijl, professor of international relations at the University of Sussex, UK. One of the leading Marxist scholars of international relations and international political economy, Professor Van Der Pijl has published widely. His books include a three volume project on modes of foreign relations (vol. 1 and vol. 2), Global Rivalries: From the Cold War to Iraq (2006) and The Making of an Atlantic Ruling Class (1984). He has also published widely in the New Left Review and other journals and magazines. Generally speaking I have become more and more concerned with the War on Terror as a route to constraining civil liberties and freeing the forces of authoritarianism in the West. In combination with a stubborn adherence to neoliberal responses to the crisis, the by now almost routine resort to war as a means of regime change, the steady build-up by the West of military assets against Russia and China, and Israel’s preparation for war with Iran (in which NATO is complicit in many ways, for instance by allowing Israeli air force jets to practice on Sardinia for such an attack), this raises the frightening prospect of a larger conflict which in turn will further reduce the space for dissent. Tax evasion and the size of a black economy are real problems. But if compared to what it costs in campaign contributions to be elected to the presidency of the US, or the non-payment of taxes by big corporations in the US and the larger EU economies (just think of how the hedge fund LCTM, based in the Cayman Island, was bailed out in 1998 by the Fed with public money, or what German banks were able to avoid paying by a simple change in capital gains tax so that they could divest themselves of their stakes in other corporations), what happens in southern Europe is small fry. What is at stake everywhere is that bank capital is able to avoid the negative consequences of low interest rates by raising the call for debt reduction, which means debt rescheduling and mark-ups in bond rates for the most affected countries. All of which works to keep the banks in a position where they can dictate to governments which economic policy to follow. Deeper down of course is the issue that ‘growth’, that is, capital accumulation, is stalling because society is reaching the limits (which are ‘culturally’ specific in each country) of what it can absorb in goods and services, what it can perform work-wise, and the like. This is a recipe for disaster and will aggravate what I said above. Shrinking the economy will make any debt relatively larger and the ability to service it more difficult. EMU was set up prematurely to allow the strongest capitals to expand from a larger economic zone without having unnecessary transaction costs. More importantly, it served to generalize their desire to have a strong currency to diversify internationally through direct foreign investment. For German capital in particular this solution does not harm its remaining export prospects because the sectors in which production remains in Germany are not price-sensitive. A power plant or a giant turbine for hydroelectric dam is not bought at competitive prices, even a Mercedes or BMW is not subject to the same price pressures as an Alfa Romeo or a Renault. Hence EMU was bound to reinforce the strongest German capitals, Dutch, some French, at the expense of the peripheral economies which no longer can adjust lower productivity and greater exposure to competitive pressures by devaluation. Liberal capitalism always produces inequalities; uneven development is at the heart of it. Within a capitalist economy, Eurobonds would have a stabilizing effect. However, that is precisely where the financial fraction of US capital and politicians associated with it (Volcker, Summers, Geithner…) don’t want the Euro: it would create a real alternative to US Treasury bonds which are currently the mainstay of the global credit economy and keep the US afloat. The current Eurozone troubles work in various ways to keep the Euro embattled and prevent the Eurobond solution. Inequality is translated by the Murdoch and Springer media and the like into chauvinist sentiment (‘Greeks are lazy’, the ‘PIGS’ etc. ), with the result that German or Dutch ‘public opinion’ resists shouldering a heavier interest rate burden on public debt which Eurobonds would entail. The way Strauss-Kahn, a philanderer but also an advocate of building a more complete financial infrastructure around the Euro, was removed, or the ‘mistake’ of downgrading France’s credit-rating, is a reminder of the conspiratorial dimension that is inevitably involved in keeping the Euro off-balance. Of course, the process is systemic but it evolves through concrete actions. This is about the continued hegemony of neoclassical economics, the failure of Keynesians to adjust to a globalised economy and the even more disturbing failure of Marxist-inspired or Institutionalist political economists to challenge neoclassical principles, in the way of the 1970s capital debate and so on. Only this can explain why completely corrupt mainstream economics (just look at the part on the economists’ role in the film ‘Inside Job’) can remain as the dominant intellectual force. Mario Monti is called ‘a respected economist’ and nobody asks in what sort of economics did he gain his credentials. In the US, an influential view is to argue for continued expansionary monetary policy but with contractionary fiscal policy. That seems to be the recipe of the moment, with the Fed even contemplating another round of quantitative easing. What do you think of this approach to inadequate demand and balance sheet problems? Dollar inflation by printing more money keeps the mass consumption economy going although it is losing steam as accumulation stalls. And as long as China, Japan, Kuwait and the like continue to buy up US Treasuries, the value of the dollar is hardly affected either. As purchases of precious metals by China and other countries outside the Atlantic heartland increase, we may be in for a surprise at some point in terms of global monetary relations. However, how the holders of US Treasuries would square a loss of value of their 2 or 3 trillion worth of holdings, with a new role for e.g. the Yuan backed by gold or silver, I cannot predict. Debt, especially mortgages and student loans, have become a major issue over the past few years. What, if anything, should be done about this? How should we understand the growing debt of American households in the past decades? In the English-speaking West, the debt problem is much more acute because the lowering of wages was accompanied by a credit-card culture that kept consumption going in spite of it. Also their mortgage debt is higher than elsewhere and the attempts by banks to move into new zones to create mortgage markets are more recent or even just beginning. Only some sort of socialization of debt, separating economically and ecologically justifiable repayments (that is, to institutions useful in these respects) from speculative titles, can be a way out here. The continued payment of interest to big players who are not, say, pension funds or otherwise institutions of public interest, should be suspended. One thing that seems to tie the American and European situation together is the considerable growth of financial activity. Is there anything to the view that the last decades can be understood as a period of “financialization”? If so, what might it mean to say the economy has become “financialized”? This has been explained by noting on the one hand the accumulation crisis which diverts investment funds to speculative circulation, quasi-liquidity, all to make commercial profit by raiding and asset-stripping. On the other hand, financialization serves as a socialization of risk, hence ‘hedge’ funds etc. of course also operating for profit but simultaneously performing a role that we later may come to see as a route to some sort of socialization of the economy as a whole. Related to that question, what accounts for the “bubbliness” of the US and European economies and especially the scale of these bubbles? We have seen a number of different bubbles and credit crises – housing bubbles in the US, UK, Ireland, and Spain; sovereign debt events in Greece, Portugal, and Italy, perhaps even France. While there was the dot.com bubble in the late 90s, and the East Asian financial crisis in the same decade, those don’t seem to have had the magnitude and systemic character as the latest period. What is, or isn’t, different about what we’re experiencing now? What we’re experiencing now is that speculation, hedging etc. is coming home from having raided various peripheral locations. It is now the turn of the ‘central’ bubble which contains all others. This raises profound questions about the role of the shadow economy and how it is related to shadow politics. I am not optimistic about the ability of the established parliamentary governing classes to come up with any solution of their own because they are morally corrupt and hostage to a defunct understanding of the economy and society. The governments imposed on Greece and Italy are instances of ‘soft regime change’ by the EU and the IMF and will fail as their elected predecessors have. The Occupy movements are the most important event in thirty years and are having an impact already on mainstream political discourse. They go beyond anti-globalization because they demand from governments (irrespective of their stripe) to restore a basic decency to social life and to disempower global finance. This conforms, unintentionally of course, to Marx’s insight in Capital Volume III that a transition to what he called the ‘Associated Mode of Production’ would come about through precisely such a movement demanding from governments that they rein in financial flows destabilizing economies, after which an economy based on cooperation of polytechnic workers would replace the capitalist one based on direction by owners. Today we would add the ecological dimension, the most urgent issue of our epoch. Some form of ecological socialism, within the specific context of each particular national or regional culture and attuned to the expectations of its citizens. In such a society, education should be at the heart of social reproduction and guide people to living culturally rich lives that are less dependant on continually buying new consumer goods.